The birth of a new baby should be a joyous time. But for about five families out of 1,000, that happiness is overshadowed by an injury during birth. Cerebral palsy, which affects one in 500 babies, may be the most devastating because it stems from permanent, irreversible damage to the baby’s brain. If your family is facing a serious birth injury because of medical professionals’ bad decisions, you have the right to demand justice. Erb’s Palsy and other injuries to the brachial plexus. This is a form of nerve damage that can leave a child’s arm partially or completely paralyzed. Facial paralysis (temporary or permanent) due to nerve damage. Shoulder Dystocia which is when a child’s shoulder get stuck against the mother’s pubic bone after the head has exited the birth canal. Cephalohematoma (bleeding in the baby’s skull) or caput succedaneum (scalp bleeding), very occasionally with a broken skull. Brain damage due to oxygen deprivation (anoxia or hypoxia). Broken collarbone or other bones. Cerebral palsy is an especially serious birth injury that stems from oxygen deprivation during birth. This often happens if the baby gets stuck in the birth canal or behind the mother’s pelvis (shoulder dystocia), cutting off his or her oxygen supply. If the baby’s brain can’t get enough oxygen, brain cells literally die, and certain brain functions will never be entirely normal. The effects vary with each child, but usually include problems with movement — involuntary movements, muscle spasms or tightness and trouble walking. Some children also have trouble with speech; sight, hearing and other senses; seizures; or even mild cognitive problems. Doctors believe most cases of cerebral palsy start before birth, and a few start afterward, but 10 to 25 percent are caused by injury during birth. These and other birth injuries may sometimes be unavoidable — but often, they could have been prevented by different decisions from the doctors and other medical professionals attending the birth. When these decisions are so bad that they fall below the accepted standard of care for your community, they are medical malpractice. If you believe you or someone in your family sustained a birth injury because of this type of malpractice, you should speak with a Los Angeles cerebral palsy attorney as you have the right to hold the negligent professionals and facilities responsible for the results. Panish Shea & Boyle is nationally renowned as a leader in personal injury and consumer litigation. Our Los Angeles birth injury attorneys have a strong record of success in winning large recoveries for our clients, including more than 150 verdicts and settlements of $1 million or more, and several record-setting verdicts. Our successes include a medical case, Don Gino Dominguez v. South Central Los Angeles Medical Center, in which we won $2 million for the family of a mentally disabled man who choked to death after being left unsupervised. Bones can be trapped within the birthing canal or subject to intense pressure, leading to breakage or bruising. The collarbone is the most common broken bone, but other bones have been known to break during childbirth. Fortunately, this injury almost always heals with time if treated immediately. When a child’s oxygen supply is cut off during childbirth, brain cells can be killed. Interruption to oxygen flow is known as birth hypoxia or birth asphyxia and can occur at any point during the birth. Potential dangers include mental disability, cognitive problems, and problems with nervous system and motor control. Contact us for more information about brain injuries. In this little-known condition, a child experiences a stroke while in the womb. This condition nearly always occurs between the 28th week of gestation and childbirth; it can contribute to life-long mental and neurological disorders. 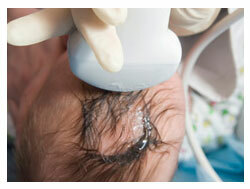 When a child’s scalp tissues press against the cervix during delivery, severe scalp swelling can occur. This condition is usually temporary, but can lead to brain pressure and other complications. Luckily, most birth injuries are preventable with proper diagnosis, treatment, and decision-making during the delivery. Unfortunately, for many children a doctor’s momentary mistake can mean a lifetime of disability, medical expenses, and stress. If your child was injured during birth, there is a good chance that a medical practitioner’s negligence or mistake led to that injury. The responsible party should be held accountable and forced to pay for the related costs of medical care and ongoing treatment. At Panish Shea & Boyle LLP, we understand the heartbreak and misery birth injury can bring. We specialize in personal injury lawsuits, collecting a record number of large settlements and verdicts and garnering national attention for our representation of cases like Avila v. Dresick Farms, in which we collected the largest-ever verdict in Imperial County. Panish Shea & Boyle attorneys are leaders in cerebral palsy, birth injury, personal injury and consumer protection law. All of our attorneys are active in legal organizations, and our partners frequently write and speak to other attorneys about trial procedure and specific areas of the law. Our partners have been nominated or awarded for honors like Trial Lawyer of the Year and Most Influential Attorneys multiple times, and frequently take leadership roles in complex national litigation. Are you ready to make your medical practitioner take responsibility for their actions? Contact us today for a free case consultation and more information. Call our Los Angeles office at (310) 477-1700 or toll free (877) 800-1700 today!